The copper mines in Bor and Majdanpek should ensure the planned quantity of copper concentrate for processing in a new smelter by phased modernization within two years. Pyro metallurgical plants whose construction was completed on December 23rd 2014th , has a processing capacity of 400 thousand tons of copper concentrate per year and produce 80 thousand tons of copper. The initially plan is to process imported concentrate with domestic one, and thanks to the modern technology that provides a lower cost of metallurgical copper processing, profit of MSB Bor should be annually increased by12 million dollars, told Managing Director of Mining Smelter Basin Bor, Blagoje Spaskovski. For two years, when according to the plan should be enough copper concentrate from the mine Bor, the financial effect of the new smelter will be increased by 24 million dollars annually. “The mining development is our main target in 2015th. The goal is greater participation of MSB in the gross domestic product of Serbia. Investment in mining, especially in “Cerovo 2” and “Cerovo primarno “,” Coka Marin “and” Bor River”, is the next task and a challenge”, said Spaskovski. 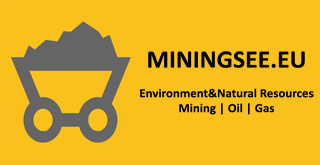 He added that the introduction of the majority strategic partner for these three ore deposits or finding financiers, after exiting the restructuring MSB begins the process of privatization in the mining industry. “You have heard about the deadlines from the Prime Minister, he determined them taking into account our agreements and talks and I will respect them”, he added. Spaskovski specified that “Krivelj” will be done for six months and that annual processing will be increased to 10.6 million tonnes of ore.
“We in “Cerovo” will raise the capacity to 5.5 to six million tonnes of ore in the nine months, and in Majdanpek, despite all the difficulties it has faced with, we will increase processing to 8.5 million tonnes of ore per year. The opening of” Cerovo primarno” will provide an additional 11.5 million tonnes of ore for one and a half years of effective work”, said Spaskovski.